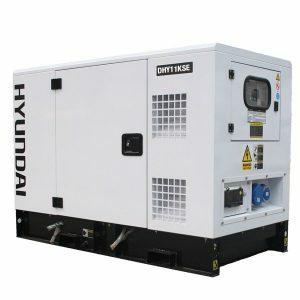 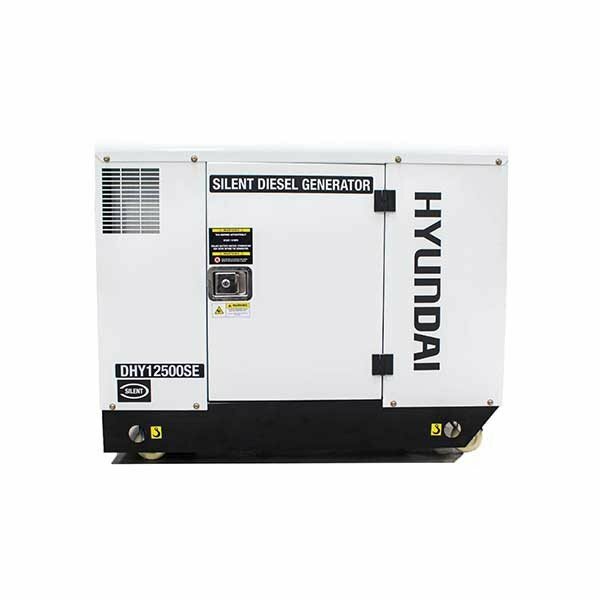 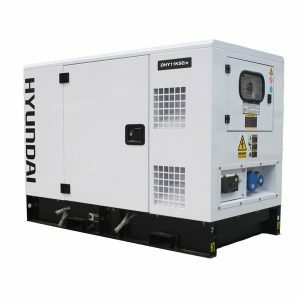 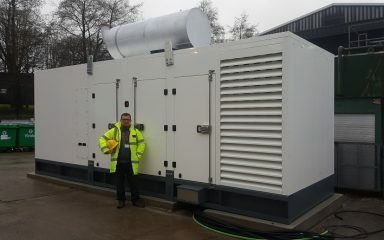 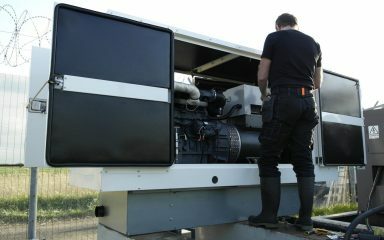 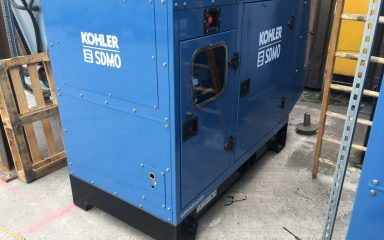 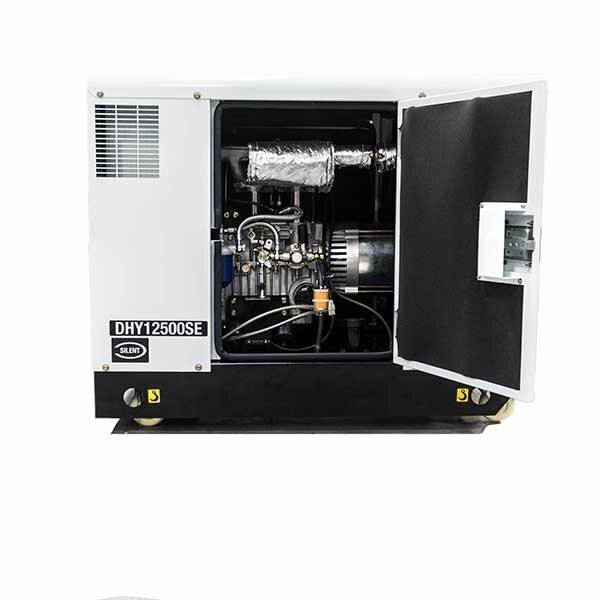 This 10kw / 12.5kVA DHY12500SE diesel standby generator is ideal for home or business standby use with mains standby features. 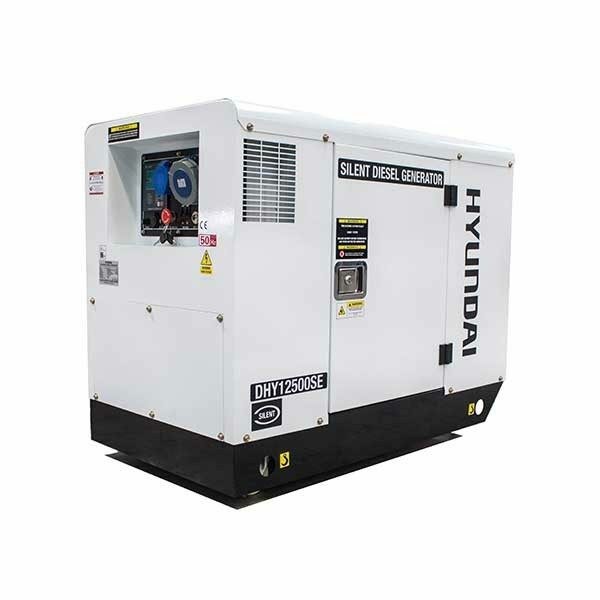 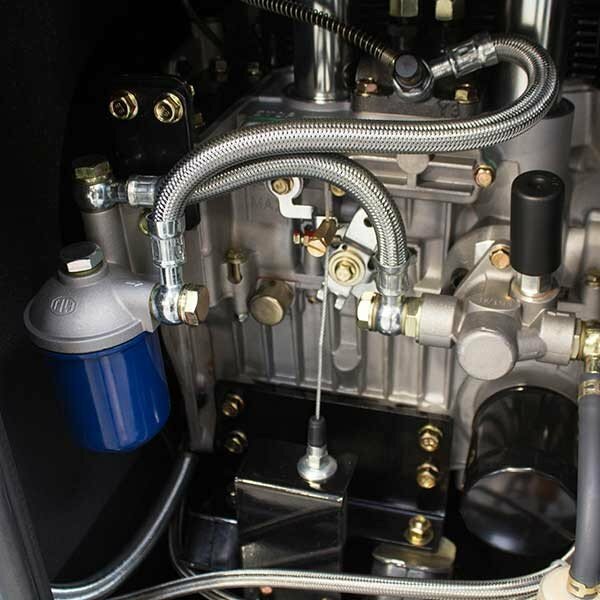 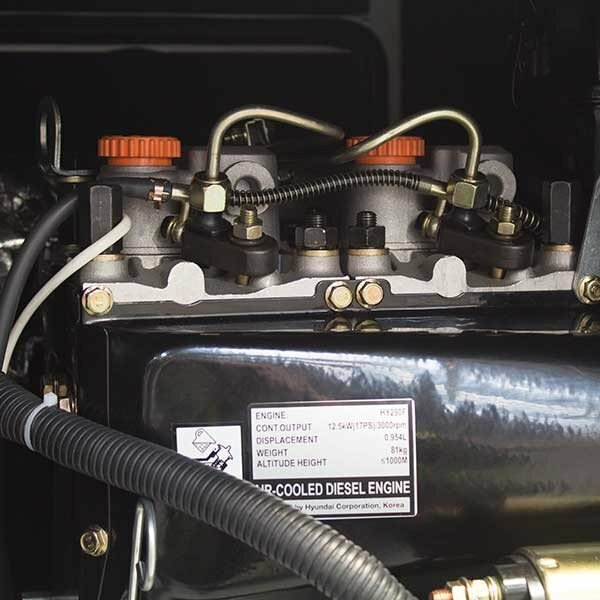 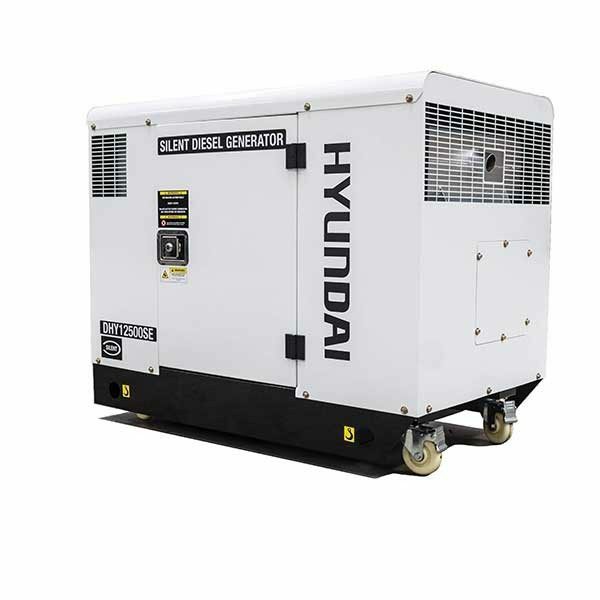 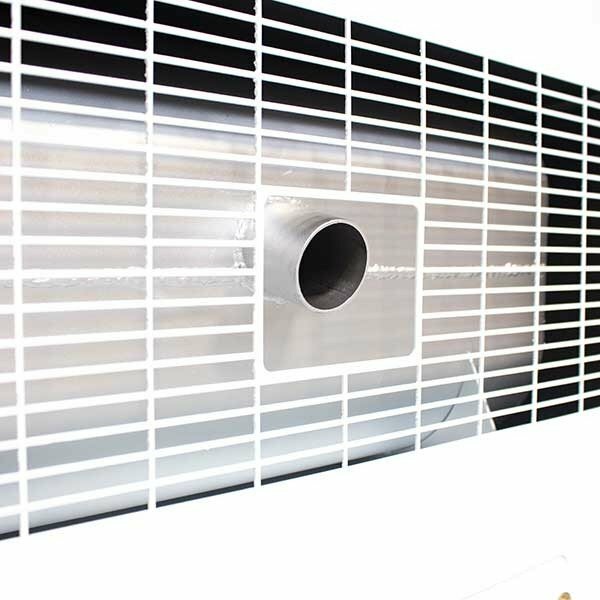 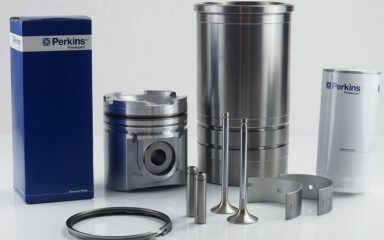 The Hyundai twin cylinder air-cooled engine operates at a low noise level within the sound attenuating enclosure. 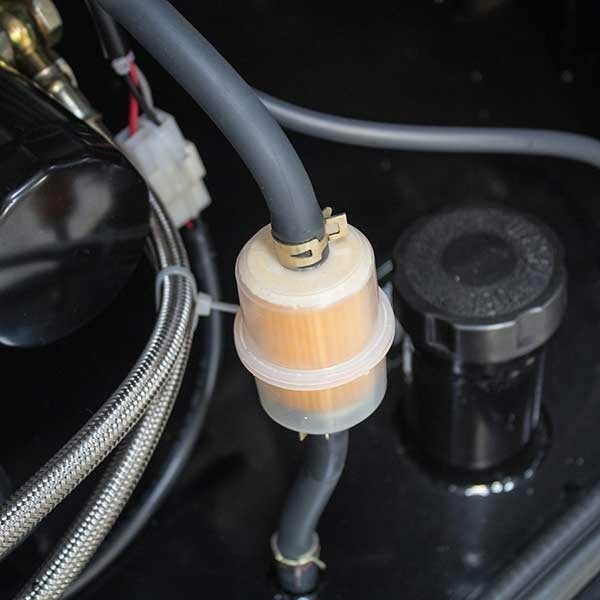 Mounted on 4 wheels, (2 steering with brake and 2 fixed) it is easily moved on a flat surface. 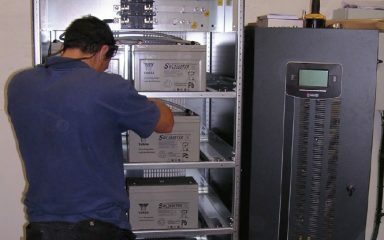 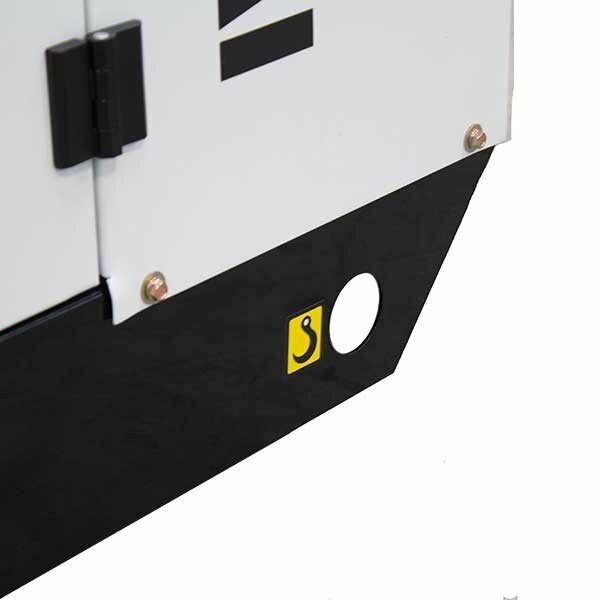 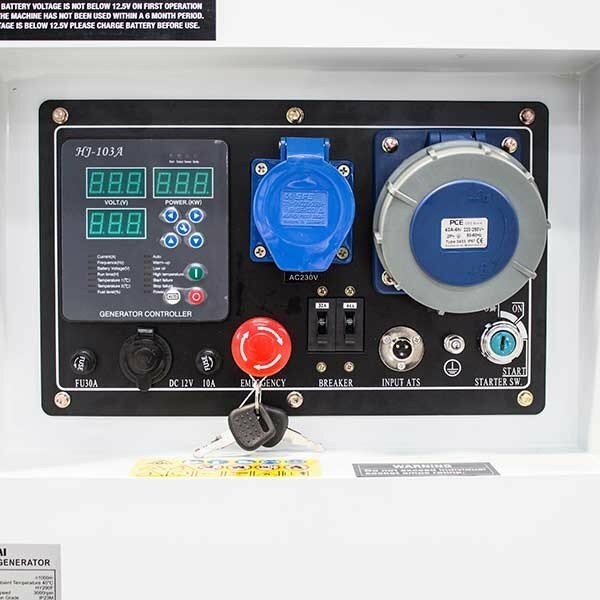 The control panel features a digital panel to display volts, hours, frequency , 32A and 63amp sockets at 230v mains voltage, emergency stop button, overload breakers, ATS/2-wire socket and a 12v DC output. 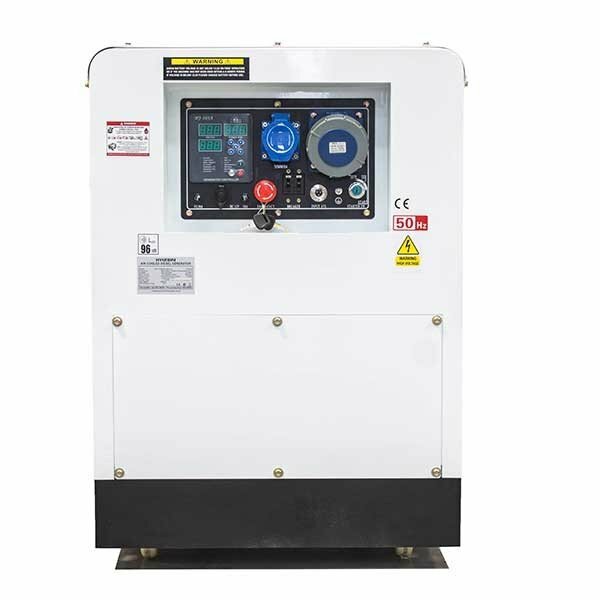 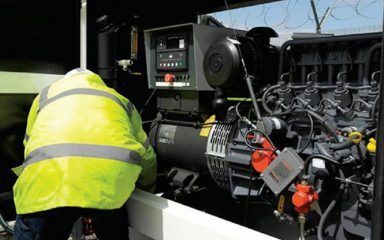 The AVR alternator provides a smooth 230v mains power output and the high torque diesel engine ensures maximum economy and low emissions with minimum fluctuation in rpm as heavy loads are applied.